To make these fun rainbow-colored cupcakes, apply a heavy amount of frosting onto each cupcake. You'll want a frosting that is thick and will hold the cereal well. 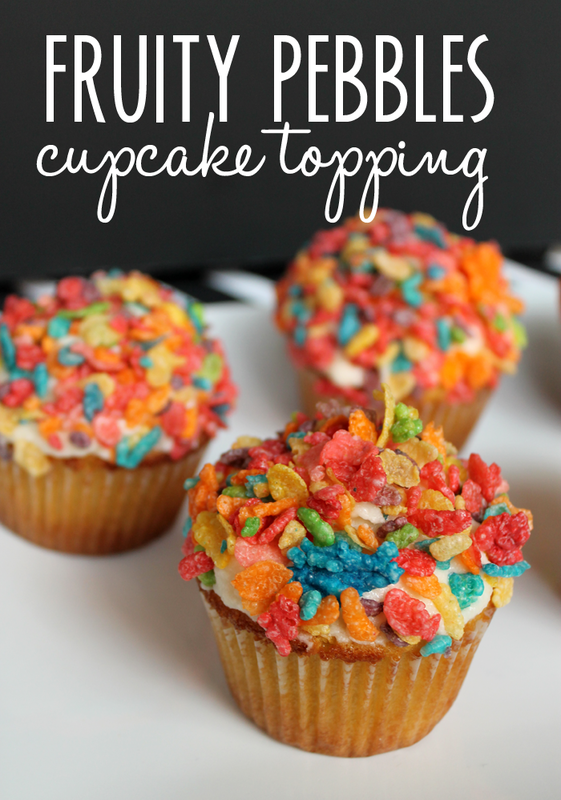 Place the frosted cupcake in a small bowl and apply handfuls of cereal to the frosting. Place one hand against the side of the cupcake (where the lining ends) and roll your handful of cereal up onto the frosting, lightly press the cereal down. You want the entire frosting covered. Once done, top with a little washi tape wrapped around a toothpick or shorten bamboo skewer and cut into a flag. Cute! These would be great as a topping for some Funfetti Cupcakes and so cute for a child's birthday. 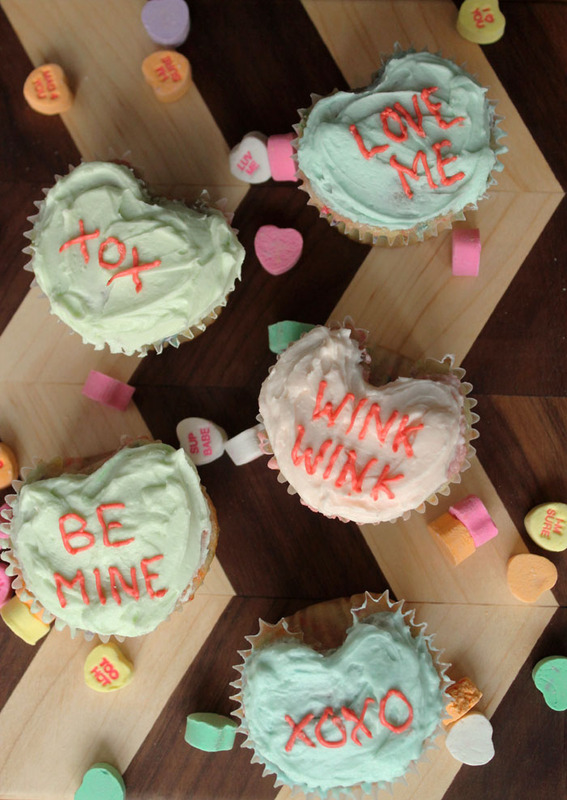 Or maybe even a topping for some tie dyed cupcakes, which were all the rage like 2 years ago. Very simple, but also very, very fun.